During this time of the year, the ice sea of the Arctic reaches its highest amount, and thus only icebreakers can pass through its frozen waters. Unfortunately, the unusually warm winter in Arctic leads to loss of ice, and this has gotten scientists quite worried. The temperatures were brought near the freezing point by a freak storm in late December and the first days of January. Other subsequent storms have turned up the heat near the North Pole, thus making the ice melt and turn to water. But this is not all that is wrong in the North. Alaska did not witness its winter yet and is recording very warm temperatures. The Kara Sea and the Barents Sea have literally no volume of ice sea, despite being situated north of Russia and northeast of the Scandinavian peninsula. 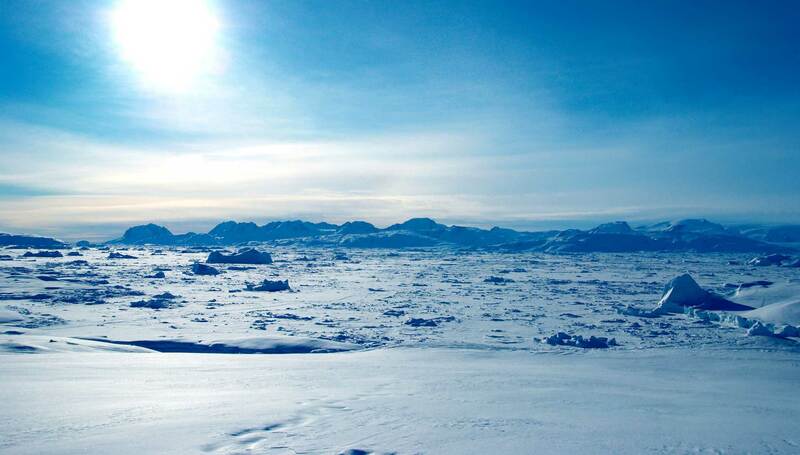 National Snow and Ice Data Center director Mark Serreze has declared that this is one of the strangest winters in the Arctic. The NSIDC located in Boulder, Colorado, monitors the levels of land and sea ice around the globe. According to Serreze, it seems the cause for the unusual warm temperatures lies in the weather patterns that were observed across the Arctic. More specifically, the Arctic Oscillation is one of the major drivers of the low ice sea levels and the warmth of the region. The Arctic Oscillation refers to differences in air pressure between the mid-latitudes and the Arctic. The air pressure values grew over the Arctic and lowered over the mid-latitudes during the first weeks of January. In more detail, the region covering central Siberia and stretching into the Kara Sea and Barents Sea recorded air pressure levels higher than the normal values. On the other side, the northern part of the North Pacific and the North Atlantic recorded lower values than normal. As a result, the airflow between these two areas managed to pump mild air towards the Arctic, thus producing higher temperatures. However, we must still take into consideration the El Niño phenomenon that is currently ongoing in the tropical Pacific Ocean. El Niño seems to be influencing weather patterns in the United States and Australia, but researchers have only begun investigating its effects in the Arctic. The fact that the unusually warm winter in Arctic leads to loss of ice will surely affect the wildlife that inhabits the region, but also the natural balance. Even if the levels of ice will ultimately grow, the sea cover of ice will rest in quite a vulnerable position.